This Guide provides information for the proper application of the ASME B31.3 Code "Process Piping,” It was last updated for the 2002 edition. 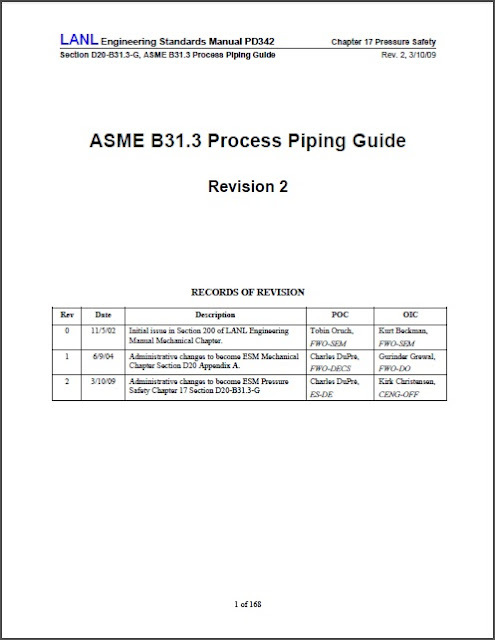 ASME B31.3 applies to process piping and tubing systems at Los Alamos National Laboratory (LANL). This Guide also contains ASME B31.1 and AWWA compliant Piping Specifications. Guide users are responsible for compliance with all aspects of the applicable Code. 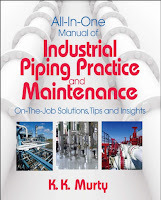 This Guide addresses only B31.3, however this guidance is typical of the requirements of other piping Codes. The information contained in this Guide provides clarification to the Code text, additional information not contained in ASME B31.3, and design input specific to LANL. This Guide is not to be used as a stand-alone document. This Guide is formatted to be used in conjunction with ASME B31.3, by following the same section numbering as B31.3 Code. Appendix references herein are to this Guide, not B31.3 or the ESM, unless otherwise noted. hi,coul you please guide me how to download this.